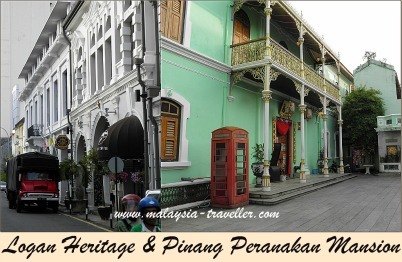 In this Penang Heritage Trail I have tried to cover most of the main attractions in the historic heart of George Town. The line on the map roughly retraces the route I took with my family on our recent (December 2011) trip to Penang. It took us two days to complete the trail and even then I felt it was rushed. There is so much to see in George Town. The core historic zone covers over 100 hectares and includes 1700 historic buildings and there are many more in the buffer zone which lies outside the core. It really doesn't matter which route you take. There is something to discover in every direction, whether it be a well preserved row of shophouses, a grand colonial building, an ornate clan house, a historic mosque, fascinating shops or cosy food stall. The Penang Heritage Trail is intended for walking but if you prefer you could try one of the many cycle trishaws whose knowledgeable drivers will be able to add more detail and colour to your tour. We started (and ended) our Penang Heritage Trail at the office of World Heritage Inc. on the corner of Lebuh Acheh and Lebuh Carnarvon. A helpful gentleman here provided us with a free Penang Traveller's Map and suggested a direction to start our walk. We set off down Armenian Street which he said was used as a location in the filming of Anna and the King. Armenian Street was originally home to a community of Armenians but they relocated to Bishops Street a few blocks away to be closer to their church. The most famous Armenians in Penang were the Sarkie brothers who established the Eastern & Oriental Hotel in 1886. The first building of note is the Islamic Museum which is housed in an elegant house built in 1860 by Syed Mohammed Al-Attas, a merchant from Acheh who was prominent in their independence struggle against the Dutch. At number 120 Armenian Street is an elegant Straits Chinese residence which was once the Penang base of Dr. Sun Yat Sen who lived there for 6 months in 1910. Further along the street is the Yap Temple and Yap Clan House or Kongsi, the first of many Chinese clan houses that we saw on our walk. Another one in the same street is the Cheah Si Sek Tek Tong. Entrance to both clan houses is free and we could admire the ornate decoration and elaborate architecture. Turning down Lebuh Cannon we were faced by the Acheen Street Mosque, or Masjid Melayu Lebuh Acheh, built in 1808 by Tengku Syed Hussain bin Abdul Rahman Aideed for the Straits Arab community who originated from Hadhramaut (Yemen). The mosque's octagonal minaret includes an unusual circular window which was said to have been caused by a cannonball fired during the Triad riots of 1867. 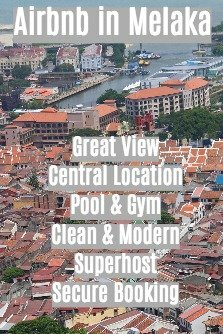 Nearby is the Khoo Kongsi, a magnificent clan house and a popular tourist attraction in George Town's historic centre. From here we made our way to the waterfront and onto the Chew Jetty. There are a number of historic clan jetties located along Weld Quay. The Chew Jetty is interesting, made up of wooden houses and narrow alleys built on stilts above the water. We could see into their houses and get an idea of how they live. Next we found the stop for the Hop On Free Central Area Transit (CAT) Shuttle Bus. The guy in World Heritage had suggested that this would be a good way to get a free city tour. We waited about twenty minutes. A couple of buses stopped but the drivers would not let anyone get on and they drove off empty. Perhaps it was their tea break but they could have been a bit more friendly about it. Anyway we abandoned our wait on this traffic-clogged and fume-filled street and continued our Penang Heritage Trail on foot. The Customs Building is very picturesque. It was built in 1907 as the Malayan Railway Building. Rail passengers would buy their tickets here, then catch the ferry from across the street to Butterworth Railway Station to board the train. Seems rather a grand building for just a ticket booth! From Gat Lebuh China, we turned into Lebuh Pantai (Beach Street), which really was a beach once before land reclamations. Lebuh Pantai is where most of the big colonial banks, insurance companies and European trading houses built their grand Penang headquarters. On the corner is the George Town Dispensary, a splendid looking building dating from 1923 in need of a new tenant. It was once occupied by doctors and lawyers as well as the chemist shop. After passing the CIMB building and Chartis Place (an insurance company), the Penang Heritage Trail takes a short detour down Lebuh Gereja (Church Street) where the Pinang Peranakan Mansion is located. 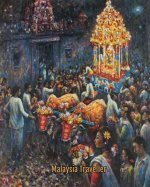 This opulent former home of a wealthy Straits Chinese family is now a museum showcasing the culture of the Babas and Nyonyas. You can find more details including visiting hours and admission charges on their website. Returning to Beach Street the Penang Heritage Trail passes the nicely restored Logan Heritage Building, and the 19th century bank buildings for the former Mercantile Bank, the Nederlandsche Handel-Maatschappij (later Algemene Bank, then ABN-AMRO and now RBS) and Chartered Bank (now Standard Chartered). The Hongkong & Shanghai Banking Corporation (HSBC)'s office is more recent having been opened on 4th March 1950. Its former branch on this site had to be demolished due to bomb damage during WWII. 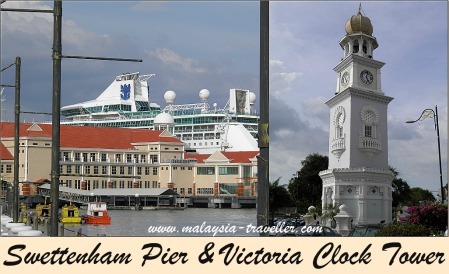 After passing the Queen Victoria Diamond Jubilee Memorial Clock Tower (1897), we took a quick look at the cruise liner terminal at Swettenham Pier before viewingFort Cornwallis. 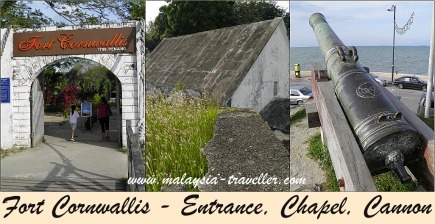 This star-shaped fort with thick brick walls replaced an earlier wooden stockade dating back to 1786 when British naval officer Francis Light landed and claimed Penang for the British East India Company. The main features within the fort today are an old bare chapel, a gunpowder magazine, some cannons and a 21 meter white steel lighthouse built in 1882. It is open daily from 9am to 7pm. The seafront promenade known as the Esplanade took us past City Hall and Town Hall (not sure why George Town has both!). We then made out way to the Eastern & Oriental, Penang's most famous and prestigious hotel, for a much needed refreshment. Continuing from the E&O, the Penang Heritage Trail proceeds to the Protestant Cemetery where 500 or so mainly Britons were interred during the period 1789 - 1892. Notable among the few tombstones that remain legible are those for the afore-mentioned Captain Francis Light, who only lasted 8 years before succumbing to Penang's climate or diseases, and Thomas Leonowens aged 31, husband to Anna, governess to the children of the King of Siam as made famous by the musical 'The King and I'. Heading back to the core heritage zone we passed the Cheong Fatt Tze Mansion in Leith Street, also known as 'Millionaires Row'. This Blue Mansion is a beautiful example of a Chinese courtyard home. It was owned by Cheong Fatt Tze, a successful Hakka Entrepreneur. Today it operates as a boutique hotel and they have conducted tours at 11am, 1.30pm and 3pm daily for RM12 per person. Next we passed the Roman Catholic Cathedral of the Assumption which moved to its present site in 1861. Next door is the Penang State Museum which is a good place to gain an overview of Penang's history. It is closed on Fridays. Neighbouring the museum is St. George's Church. Completed around 1818 it is believed to be the oldest Anglican church in Southeast Asia. After the church we turn into Jalan Masjid Kapitan Keling (formerly Pitt Street) for the final stretch of our Penang Heritage Trail. The Kuan Yin (Goddess of Mercy) temple is the oldest temple in Penang with construction having commenced in 1728. We certainly found it one of the most atmospheric of all the temples we visited on our trip. Further down the street is the Kapitan Keling Mosque which was established in 1801 primarily as a mosque to serve the Indian Muslim community. Its attractive mughul architecture and landscaped grounds make it a popular place to photograph although non-Muslims are not permitted to enter without special permission. From here it is only a short walk back to the World Heritage Inc. where our Penang Heritage Trail starts and ends.